For those looking to keep abreast of the global Acrylic acid-Acrylate esters market, our independent, unbiased pricing information, news and market analysis is an invaluable resource. Whether you buy or sell Acrylic acid-Acrylate esters or related products, you need to know about the prices and the factors driving the prices in the global Acrylic acid-Acrylate esters market as they happen. Acrylic acid and acrylate esters supply in Asia started the quarter at reduced levels due to turnarounds in China and southeast Asia. This supported spot prices from end-January to early March. Supply gradually increased, with plants restarting from turnarounds in March. Despite a curtailed supply in Q1 2019, supply and demand situation is said to be largely balanced, in the absence of firm demand. Demand was subdued in Q1 2019. Demand slowed down ahead of Lunar New Year in early February, widely celebrated in Asia. Deman is typically low in northeast Asia markets in winter. Demand did not see significant improvement in March, the typical onset of the peak demand season. The US-China trade war and a global economy slow down continued to weigh on Asian markets. European acrylic acid (AA) and acrylate esters supply was well balanced throughout the first quarter. There were a number of maintenance stops during this period, but lower demand and material available from overseas prevented any shortage. 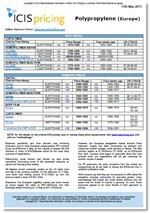 Demand is traditionally lower at the start of the year, with January and February showing steady demand in the market. Levels started to pick up in March, with warmer weather marking the start of the European coatings season. US acrylic acid supply was broadly stable and mostly balanced with tepid demand during the first quarter of 2019, mostly on a harsh winter and a market slow to recover from a weak fourth quarter 2018. Amid fundamentals including an economic slump in overseas regions and the US automobile industry, supply was ample throughout the quarter, in most instances. Domestic acrylic acid demand was not significantly stronger versus the previous quarter, but a producer noted active restocking among its customers. Typical demand during the run-up to the US spring paint and coatings season, which peaks in the second quarter, was impeded by several factors including extreme low temperatures and record rainfall in much of the US, contrary to earlier forecasts. Additionally, coatings demand from new construction continued to struggle amid general economic headwinds. We offer the following regional Acrylic acid-Acrylate esters analysis and news coverage to keep you informed of factors and developments affecting prices in the Acrylic acid-Acrylate esters marketplace. 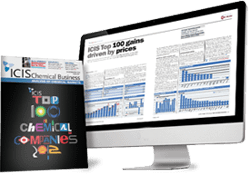 Over 25 years of reporting on key chemicals markets, including Acrylic acid-Acrylate esters, has brought global recognition of our methodology as being unbiased, authoritative and rigorous in preserving our editorial integrity. Our global network of reporters in Houston, London, Singapore, Shanghai, Guangzhou, Mumbai, Perth and Moscow ensures unrivalled coverage of established and emerging markets. Acrylic Acid and Acrylate Esters in Europe are covered under separate entries. 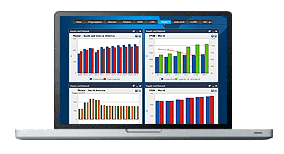 These products are combined in the regional reports published in Asia and the United States. Please see separate entries for information on the European market. Acrylate esters are colourless liquids with acrid odours, and are traded as technical grade (99% purity). Methyl acrylate and ethyl acrylate are toxic enough to require a hazardous shipping label, while butyl acrylate and 2-ethylhexyl acrylate (2EHA) are considered safe. Acrylate esters are used in the manufacture of surface coatings/paints and resins, adhesives and plastics, dispersions and in some cases paper. They are readily polymerised if exposed in water, to form a latex (a dispersion of solid particles in water) such as latex paints. An associated product is methyl methacrylate. Acrylate esters are made from the reaction of an alcohol to an acid such as acrylic acid. This process is called esterification.